Unsatisfied with Madrinaa, we adjourned to somewhere where we could get seats on a Friday night. Ta-dah! 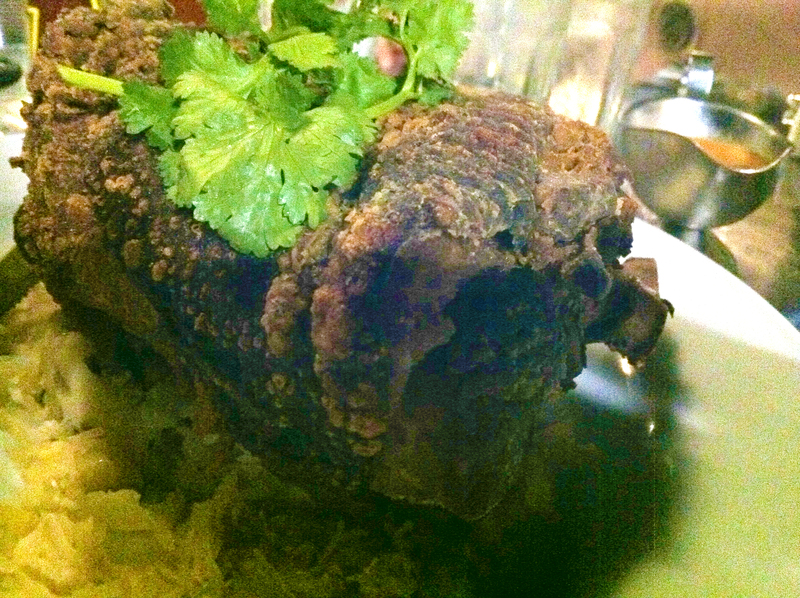 My friend and I shared a pork knuckle ($32+). 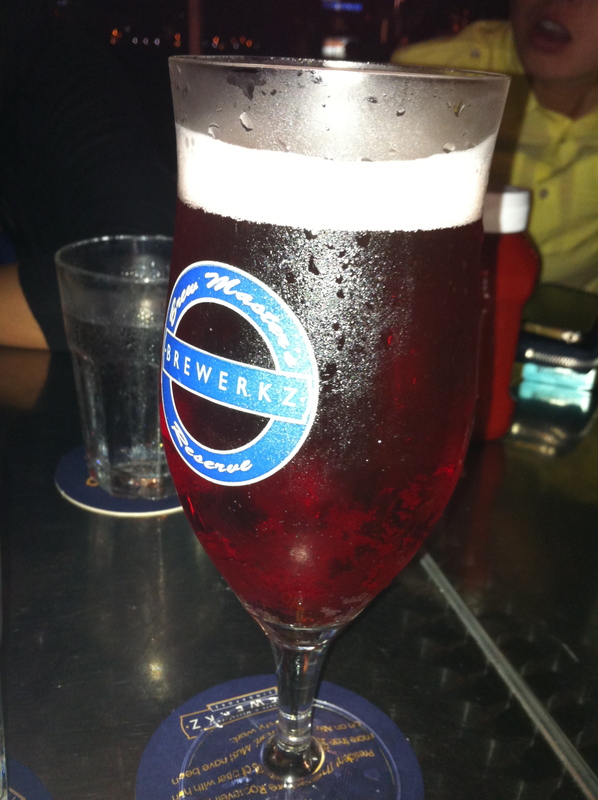 I also had a sissy beer, long zhu ale (or dragon pearl beer, $14) that is fruity. I’m a fruit ok? I can drink fruity drinks! Don’t judge! I’ve to say, my sense of adventure paid off! The beer quite nice and light and fruity. There was wild honey and red dragonfruit in it. Delicious. Good for people who can’t drink much. The pork knuckle – my friend said this one beats Werner’s Oven, putatively one of the best pork knuckle in Singapore, hands down. This one could be cut, i.e., not hard like a rock. But my opinion is I prefer Werner’s Oven’s PK. The reason is it’s cheaper and tastier. True, Werner Oven’s PK was hard, but the inside was tastier and more tender than Berkwerkz’s PK. Quite a lovely place. (gay people have the right to use “lovely” without sounding pretentious ok??) Surprisingly quiet on a Friday night. Service was good and prompt too. A great place for a gathering of friends who don’t want to be in crowded places.